2005 was a great year for hip hop. There were many artists who released solid albums and managed to gain notoriety and appreciation for their projects. Today, I wanted to go back to 2005 and take a look at a few albums that dominated the year and the pros and cons of each album. The albums I have selected for today include 50 Cent's huge project The Massacre, the sophomore album from Kanye West titled Late Registration, the debut album of Young Jeezy, Common and his return to form, plus the breakthrough Lil Wayne album. How do these albums all hold up? Let's take a look. 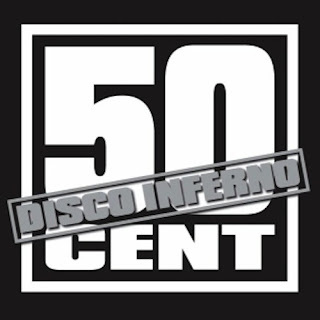 -During this era, there was no artist that captivated the world and their attention quite like 50 Cent. 50 was on top of the world, and managed to gain notoriety and fame through his brash yet honest style, bringing gangsta rap back to the mainstream in a way that hadn't been seen since the mid-90's. 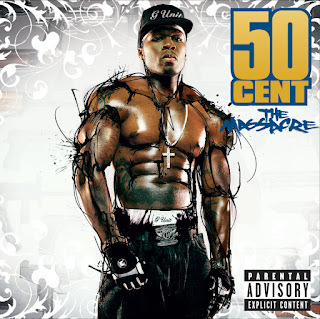 After his debut, 50 would be one of the biggest stars and that would have excitement for his next album through the roof, and as a result, The Massacre arrived with hits and a ton of promotion. Was The Massacre a good album? Let's take a look. Pros: I always felt The Massacre was underrated in a major way, and that it definitely deserved more credit in the catalog of 50. Some people disliked it, others love it, but for me, I thought this was an all around complete project with elements that showcased 50 expanding his musical output and creativity at times. Production wise, this is a great album for the time, with a plethora of beatmakers contributing from the legendary Dr. Dre to Eminem to Scott Storch to Hi-Tek to Buckwild and many more. 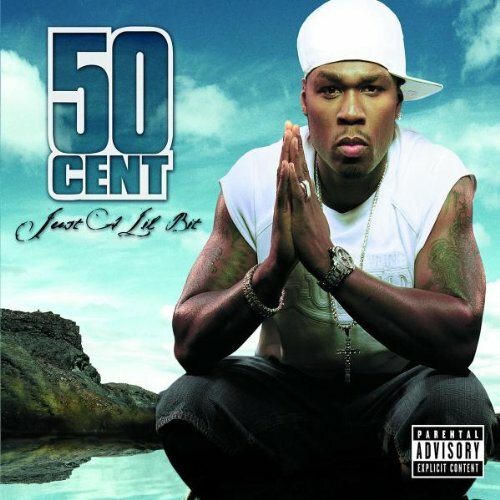 There are very few guests on the album with only Olivia, Em, Tony Yayo, and Jamie Foxx assisting 50 with these tracks. Over the 22 track length of the album, 50 delivers gems like "Ryder Music", "Ski Mask Way", "A Baltimore Love Thing", "I Don't Need Em", the high powered diss "Piggy Bank", and a favorite of mine "Position Of Power". 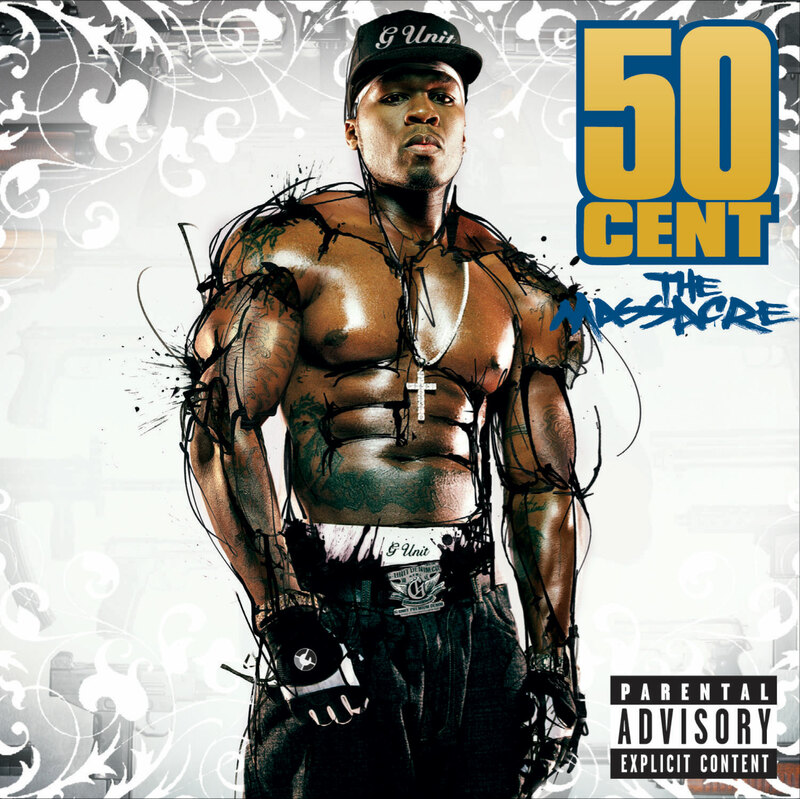 50 delivered big time with this album IMO. Cons: The biggest negative is that the album is far too long. At 78 minutes of music, this is overkill and probably a case of the label asking for too many songs or 50 knowing he gets more money for each song with the sales, but whatever the case may be, this album does have a few dry spots that drag on. 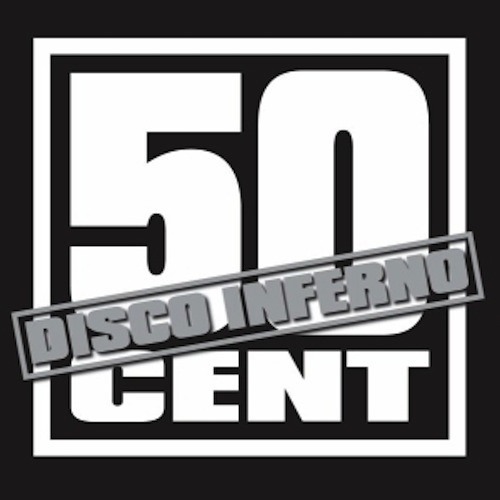 Tracks like the horrible "Gatman and Robbin", or just subpar like the original "Outta Control" or perhaps "My Toy Soldier" add nothing to the album and could have been replaced by other tracks that 50 had in the stash. All in all, this is a solid album that suffers from quantity over quality in some aspects, but is enjoyable regardless. -Well, Kanye isn't the most popular artist at the moment in terms of being likable, but once upon a time, Kanye was universally loved despite his big personality. 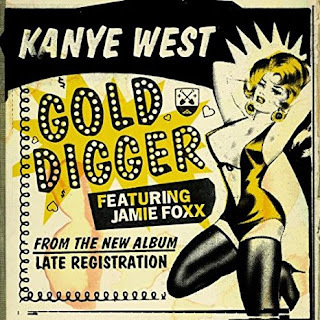 Around the time of the release of his second album, Kanye would look to craft a follow up album that was worthy of coming after his great debut The College Dropout. That album would be titled Late Registration and be one of the better albums of 2005 and the entire decade by far. With that being said, what are the highlights and negatives of this album? Let's take a look. Pros: There is one glaring positive about this album that I honestly think elevates it over every other Kanye album, and it is simply the production. The production on any Kanye album is solid, but there was something special about the orchestral vibe that Jon Brion would provide for Kanye. The production was mostly handled by those two men, and Just Blaze made a brief appearance on the album producing one song ("Touch The Sky"). 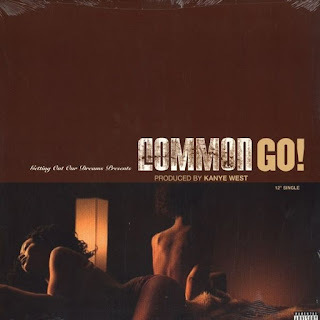 In terms of the guest appearances here, Kanye goes all out with Nas, Jay-Z, Adam Levine of Maroon 5, Jamie Foxx, Paul Wall, Cam'ron, Brandy, The Game, and Common, among others on this musical journey. 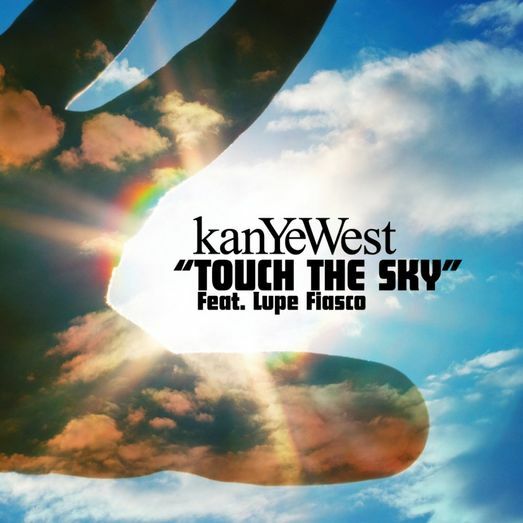 The highlights here song wise are plentiful, as tracks like the aforementioned "Touch The Sky", "Addiction", "Heard Em Say", "We Major", "Late", and more. 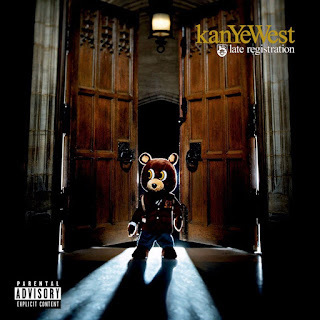 When Late Registration hit its peak, it was some of the best music we've ever heard from Kanye by far. Cons: Aside from a slightly long and exhausting tracklist, there is nothing wrong with Late Registration really. Well, maybe I'm being too generous. The tracklist being long does leave the album open to have some duds, and perhaps one could say "Crack Music" was slightly unnecessary and that "Bring Me Down" feels more like an interlude than a regular song, but both of those are enjoyable listens so that cancels out the negative. Late Registration is a classic, so there isn't too much negative to discuss. -Some might not remember how big of a force he was in the streets, but Jeezy had become one of the biggest rappers in the entire game with the release of this project. 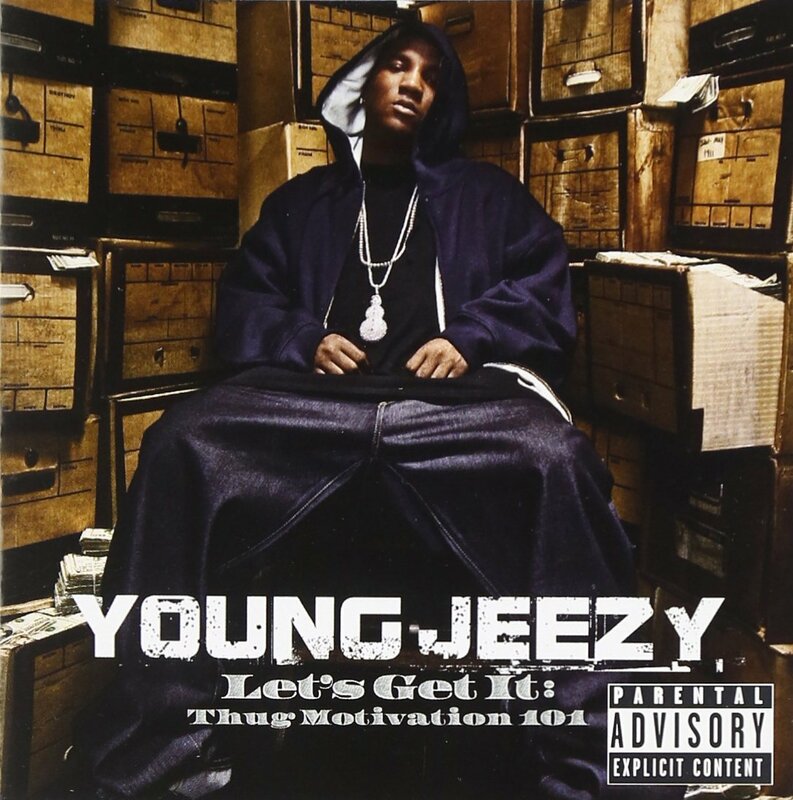 Following his Trap Or Die mixtape, Jeezy would walk into an entirely new role as a superstar and this official debut album would be the reason for his success. Jeezy was the prototypical hustler turned rapper selling himself as someone who just tells the story of the streets versus being an actual rapper and it worked. People bought into what he was selling and it took off for him. 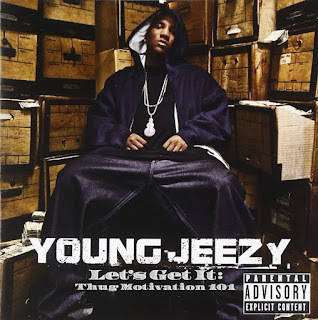 I have fond memories of this album, and with it being the biggest moment in the career of Jeezy, it is only right that we take a look at the positives and negatives of this album. Let's start of course with the positive. Pros: The production is essentially a highlight for every album on this list. This album benefits from some amazing production and a great lineup of producers that includes Mannie Fresh, Drumma Boy, Don Cannon, Jazze Pha, and of course, Shawty Redd. 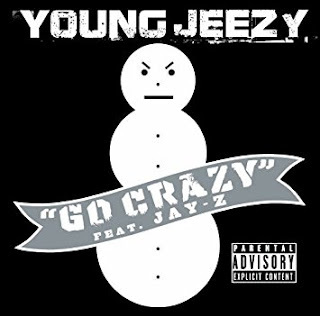 In terms of the guest appearances, Jeezy goes all out here with Trick Daddy, Young Buck, Akon, T.I., Mannie Fresh, and more, which helps to balance out the album overall. The highlights here from a song perspective are "Standing Ovation", "Go Crazy", "Get Ya Mind Right", "Soul Survivor", and the underrated "Talk To Em". While this album isn't flawless, it has a lot of great highlights and gave the world a glimpse into the world of the Snowman. For that, this album is a borderline classic (many people say it's a 100% classic). Cons: There aren't many issues with the album, but I guess you could say that Jeezy has a knack for being extremely repetitive due to the subject matter in his music. There are some songs that work, but do nothing for me as a listener like the single "My Hood", which was an anthem, but felt slightly generic in execution. 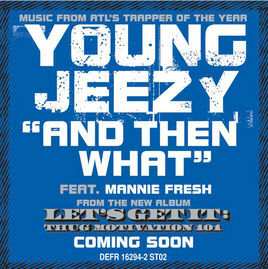 The same could be said to a lesser extent about "Trap Star", but other than those songs, for the most part, Jeezy manages to hit the mark with each song, a rare feat in trap music. 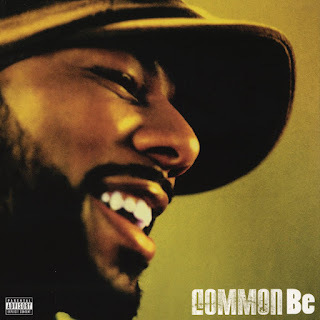 -After he would experience a slight backlash due to the release of his eccentric album Electric Circus, Common went back to the drawing board and decided to go to his roots... Chicago. Linking up with the producer of the time for his city in Kanye West, Common would craft a shorter album full of gems titled BE, which had a classic feel to it before it even dropped. It was the anticipation, the single he released, the idea of Kanye handling the production, and the basis of a comeback which fueled this project and the results were actually amazing from start to finish. So what are the pros and possible cons? Let's take a look and see. Pros: The entire album is almost flawless and there really is nothing bad to discuss. 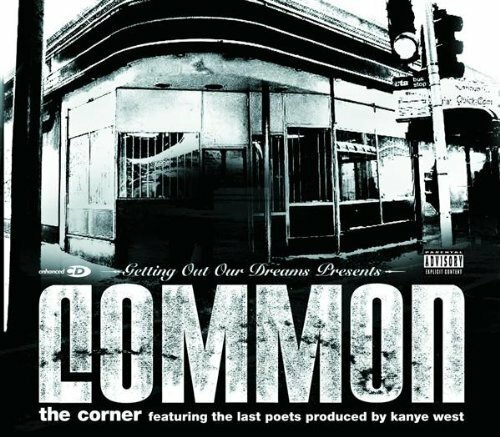 Common is in a zone lyrically here and he delivers over and over on the album, and the production is amazing from start to finish. Kanye handles the bulk of production, with J. Dilla also contributing two beats, and the guests here are John Mayer, Bilal, and John Legend, with only Kanye being the other MC featured. Every track here is special, but the premium highlights here are "It's Your World", "They Say", "Real People", "The Food", "Faithful", and the excellent "Testify". 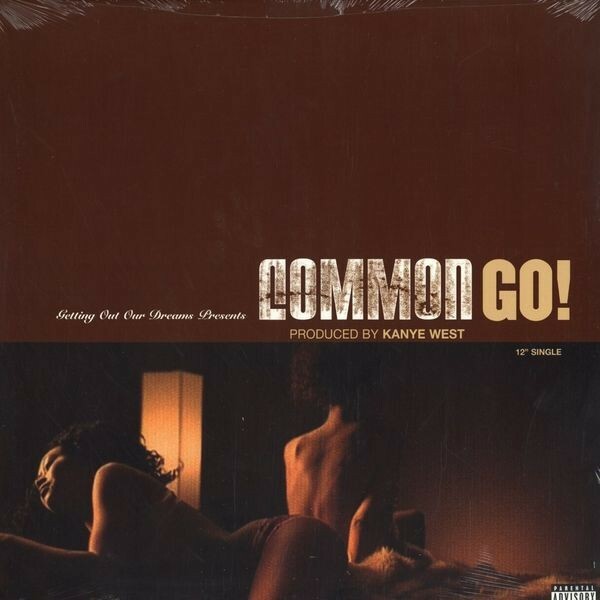 When looking at the entire tracklist, this might be the best collection of Common tracks in his career. BE is an elite hip hop album and there are so many positives. Cons: I cannot find one flaw with this album. At all. Literally every song is great here and to be fair, I think the only song that might not be on par with the others is actually "Go" and to an extent, "Chi City", but those are both excellent listens. With that being said, BE excels at the highest levels and manages to not fall in the territory of other albums that have filler or songs that miss the mark. -We all know about the legend of Wayne. 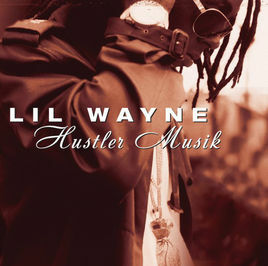 With his early Cash Money success waning, and the company's back against the wall, Wayne returned with an album series that essentially changed the label's entire fortune. 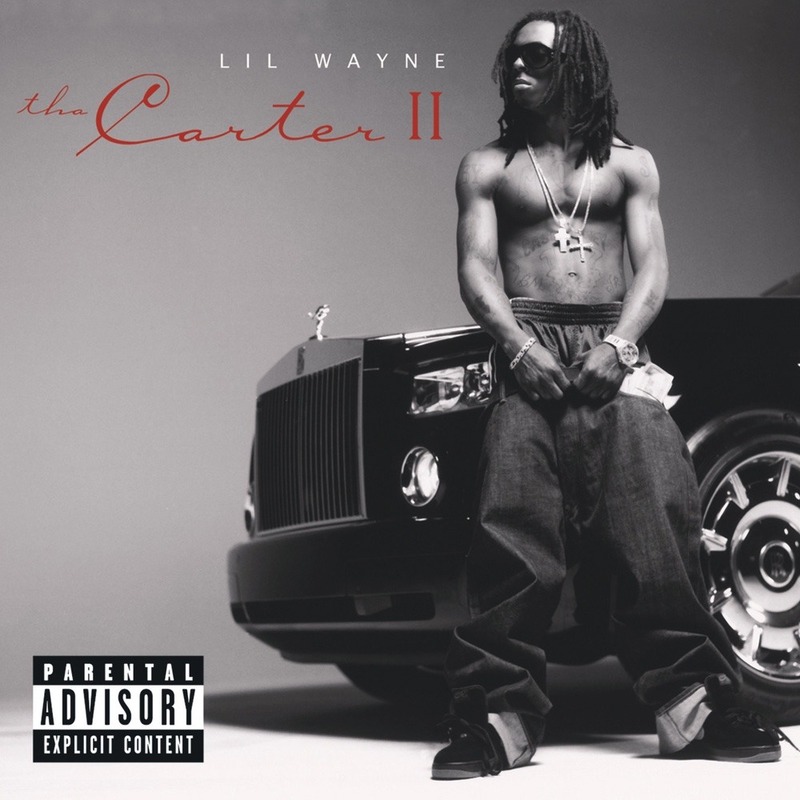 To me, the first Carter album is actually the best one, but the second Carter album is right on par with it. This project would see Wayne branching out and working with new producers for the first time in his career. He had always worked with Mannie Fresh and majority of his work had been handled by Fresh, but due to Fresh leaving Cash Money, Wayne would branch out to work with some great beatmakers and the result would be his best album up until that point. Was Tha Carter 2 a classic? Is it the best Carter album? What are the pros and cons? Let's take a look. Pros: At the time, Wayne was on the rise as an artist, and his skills seemed to be peaking during this period through his mixtapes and such. This album starts off with one of his greatest songs ever in "Tha Mobb", with one of the best Heatmakerz beats in their catalog. Wayne spits his best verses on this track and he manages to keep the same vibe together on tracks like "Fly In", "Money On My Mind", "Lock And Load", and "Hustler Muzik". The cohesion in the production here is very good, with Heatmakerz, The Runners, T-Mix, and Cool & Dre being the architects of the best sounds here. Tha Carter 2 is definitely the most cohesive Wayne album. Cons: The issue I have with this album is mostly the lengthy tracklist, because as always, with a long tracklist, there is a chance for an error to come along. That happens a few times here, mostly early on in the album, especially with the slightly disappointing single "Fireman" and the standard "Best Rapper Alive" track that doesn't quite hit the mark it had intended to. 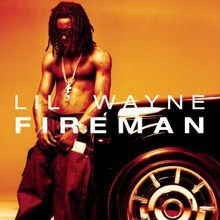 Another miss is the Nikki Jean featured "Weezy Baby", which had promise, but doesn't make my top tracks on the album. 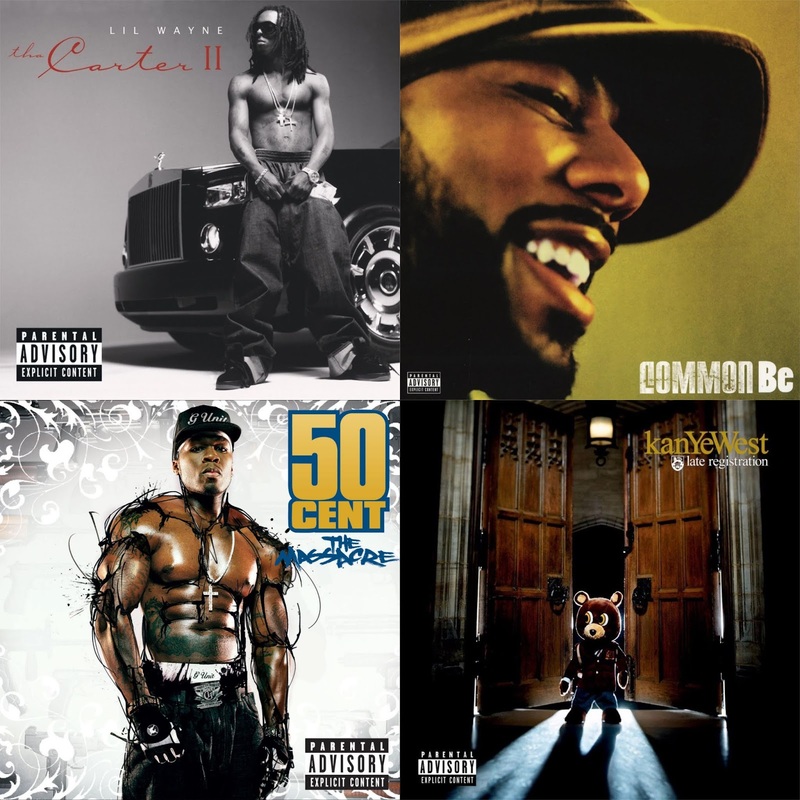 2005 was a good year for hip hop, and these albums were all pivotal moments in the year.